As horse lovers ourselves we also strive to offer Robart Correctional Bit made of exceptional quality which are made to last. 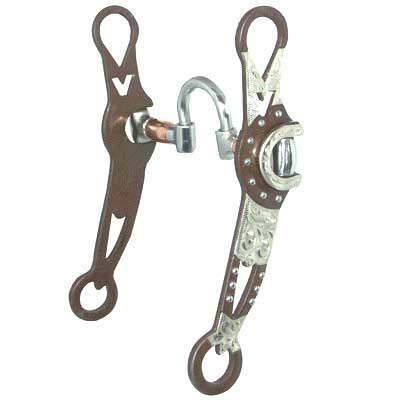 This Robart Victory Pro Correctional Bit has a moderate to severe effect on the mouth, with an ability for better collecting and stopping of the horse. The bit is intended for the older horse. It offers tongue relief by putting pressure on the bars and increases salivation through copper barrels, which allow the bit to slip over rather than drag against tender parts of the mouth. The Robart Correction Bit puts pressure on the lower jaw and is recommended for horses that need more than a ported bit. As horse enthusiasts ourselves our number one priority is to offer our customers Horse Correction Bits which we believe are made to last and available at affordable prices.